Direct link to access information and purchase direct. Here we have archived our videos for you to watch. Learn how to mix and apply, Spray with 2K equipment, see how fire proof our FR 5000 is. A must for any job. Here you will find the manuals for applying all of our products. A must before you ask for any warranty. 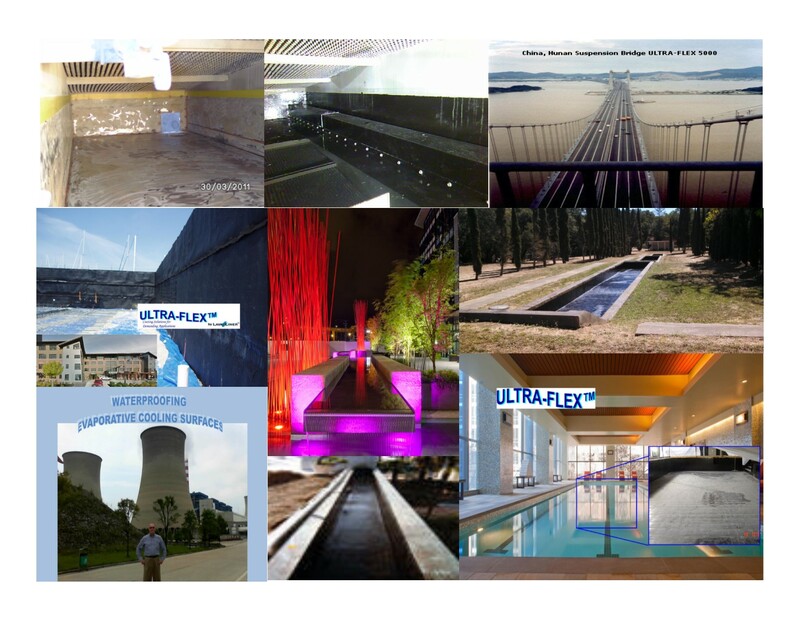 Lava-Liner has manufactured and developed custom Ultra Flex Coatings for industrial applications world wide for more than a quarter century. We provide coating systems for traffic decks, chemical, waste water and water containment, fire proof mechanical rooms, pipelines and systems where the ultimate protection is needed. We can provide off the shelf products for your needs or can design and manufacture custom coatings to meet specific needs. We were the first to design, test and manufacture the fire rated, waterproof coating EvapLiner for Evapco, Inc., Now produced as "Ultra Flex 5000FR," coats more than 1.25 million square feet of cooling tower basins. Likewise, we developed Protecto Liner for Protecto Wrap Co. Unlimited capacity and toll prodcution.